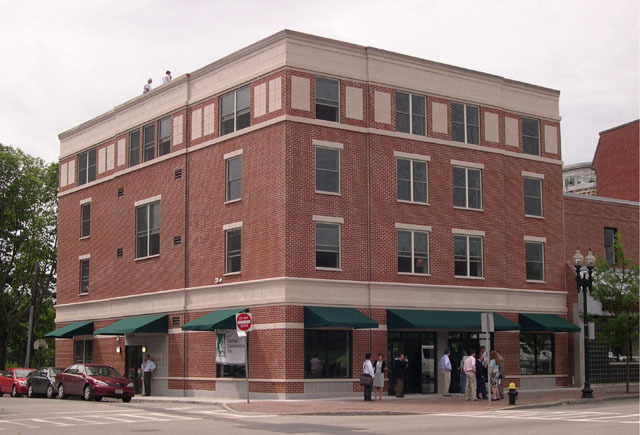 1 East Lennox Street is a newly constructed 26 room SRO in Boston developed by Caritas Communities Inc. with assistance by Massachusetts Housing Partnership and the City of Boston. Each 350 sq ft suite contains living area, closets, bathroom, and kitchen facilities. A retail store faces Washington Street in accordance with the City of BostonÄôs ÄúMain StreetsÄù program. The building exterior features over 1700 pieces of cast stone trim.